Available in Climate & Non Climate. Storage unit is the size of a small closet. It fits a dresser, a small mattress set, and several small to medium sized boxes. This space is also perfect for garden tools, seasonal décor and sports equipment. Available in Climate & Non Climate. 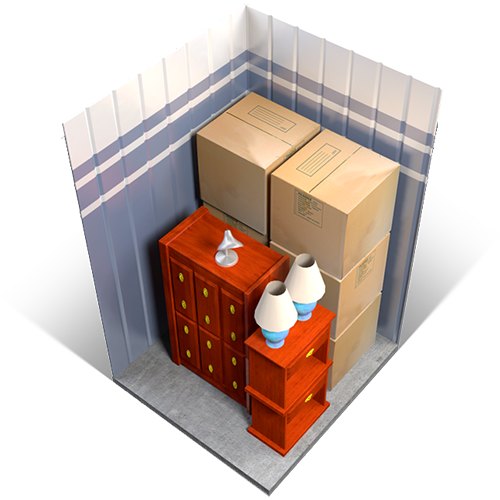 Storage unit is the size of a small walk-in closet: It fits furnishings of a mid-sized bedroom, including a queen-sized bed, a dresser, a TV and several small to medium-sized boxes. Available in Climate & Non Climate. Storage unit is the size of a large walk-in closet. It fits furnishings of a single bedroom, including a queen-sized bed, a dresser, a nightstand, golf clubs, a TV and several medium to large-sized boxes. Available in Climate & Non Climate. Storage unit is the size of half of a standard one-car garage. 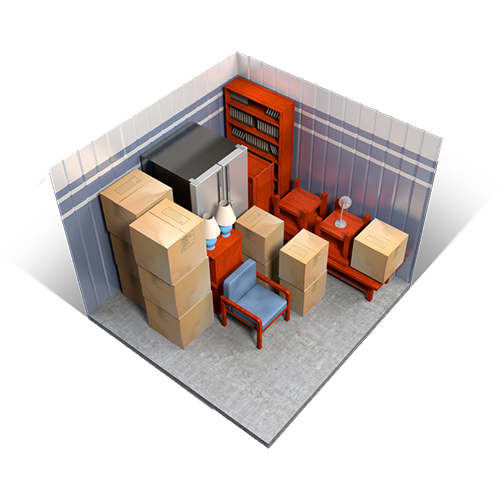 It fits the contents of an entire family room or two full bedrooms, including several small to medium-sized boxes. Available in Climate & Non Climate. Storage unit is a little smaller than a standard one-car garage. 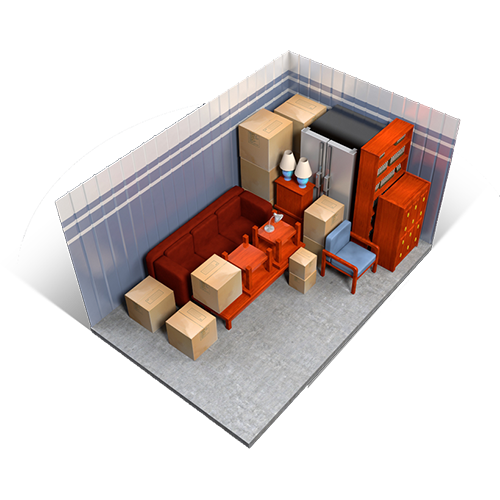 It fits the contents of three full bedrooms and larger items such as a piano, couches, tables, or large-screen TVs, plus several medium to large-sized boxes. Available in Climate & Non Climate. 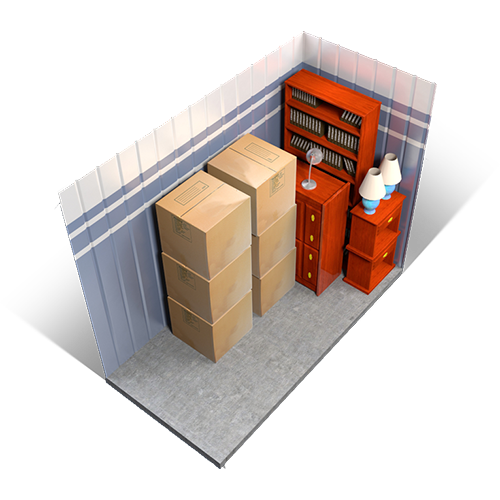 Storage unit is the size of a standard one-car garage. It fits the contents of a multi-bedroom house, including several oversized items like a couch, a refrigerator, a washer/dryer and a dining room set or several large boxes. Available in Climate & Non Climate. 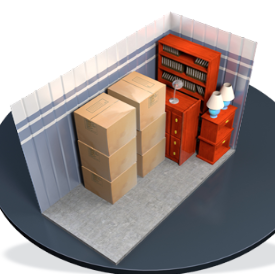 Storage unit is as large as a 1 ½ car garage. 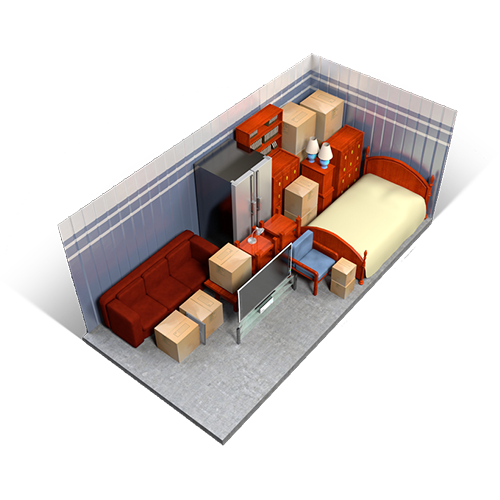 It fits the contents of a fully furnished 3-5 bedroom house, including oversized items such as a couches, beds, dressers, a refrigerator, a washer/dryer, a dining room set, an entertainment center and several large boxes.